Holland Mews is a low density apartment project with only 21 apartments which ensures it's exclusivity. 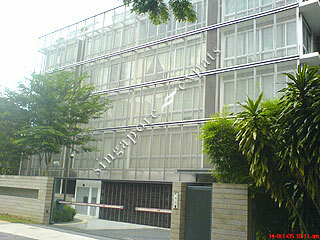 Holland Mews is situated along Holland Road, near the Farrer Road, Holland Road intersection. Holland Mews is near to the popular Holland Village and it is only 3 minutes bus ride away from Orchard Road shopping belt. Commuting to the Business District takes about 15 minutes. Holland Mews is accessible via Pan Island Expressway (PIE) located at Adam, Lornie Road to all parts of Singapore. Award Winning Architect ! Perfect for Young Expats who entertains !